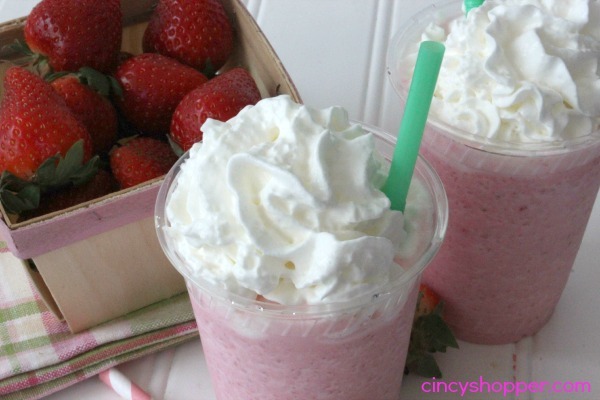 If you are a fan of strawberries you will love this CopyCat Starbucks Strawberries & Creme Frappuccino Recipe that I made today. The sun is shining here in Cincy and I was tempted to take a trip to Starbucks and Target to do some shopping. I was so tempted… really tempted. Then I decided it would be best to stay home and do a bit of spring organizing and enjoy a Homemade CopyCat Starbucks Strawberries & Creme Frappuccino. My daughter and I are huge fans of Starbucks we loved the CopyCat Starbucks Caramel Frappuccino Recipe and the Copycat Starbucks Passion Tea Lemonade Recipe that we have made at home. The savings have really added up. I think we have only had one Starbucks trip this past month. I think it is a record breaker ha ha. 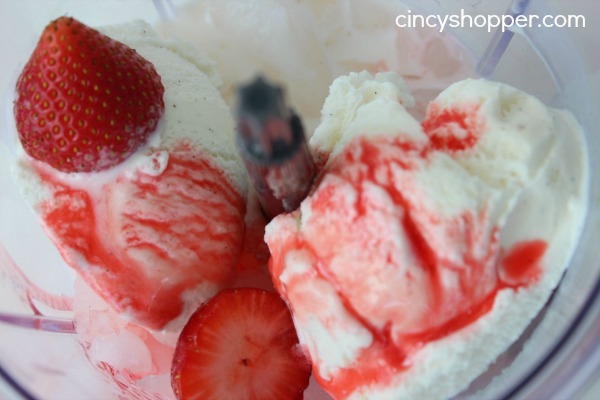 Strawberries and Cream is always one of my favorite flavor combinations. So of course I LOVE Starbucks Strawberries & Creme Frappuccino’s. We use to purchase the store bought bottles to keep in our fridge before we could no longer find them to purchase. That’s when we decide to do experimenting at home. Making the Starbucks Strawberries & Creme Frappuccino flavors at home is not difficult at all. 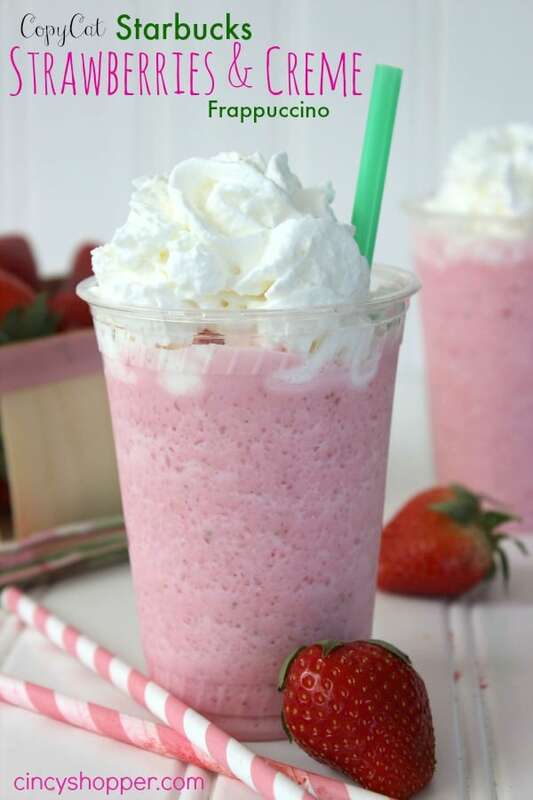 Just a few ingredients and a few minutes time and you can whip up batches and batches of this CopyCat Starbucks Strawberries & Creme Frappuccino Recipe. Last summer for a grill out I made quite a few of these for our guests to enjoy. They all loved them so, I know you will too! 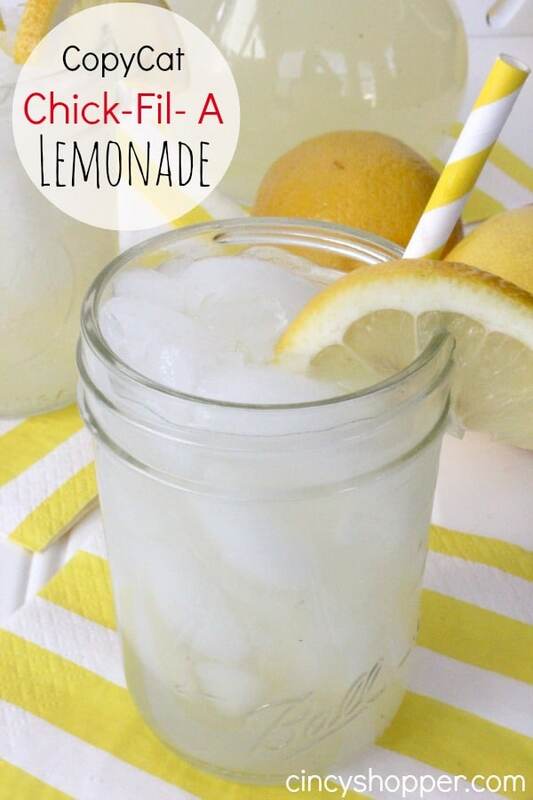 Looking for other refreshing drinks to enjoy at home this summer? 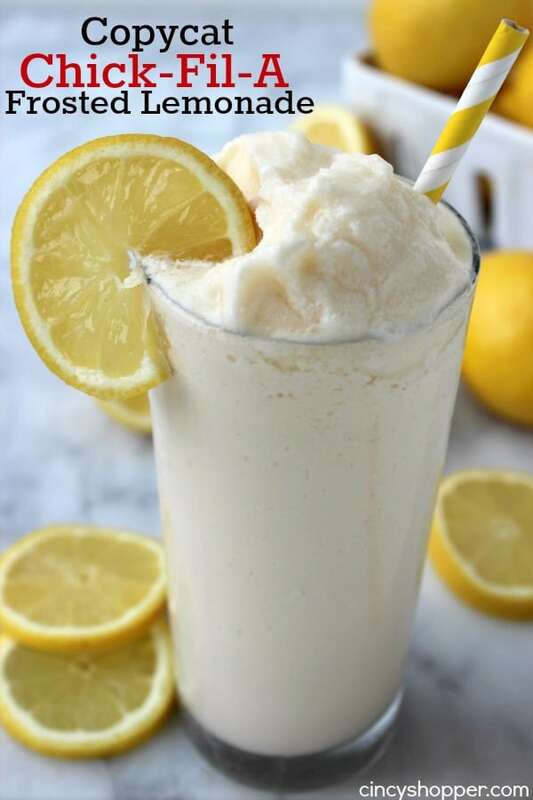 If so check out my CopyCat orange Julius Recipe, CopyCat Wendy’s Frosty Recipe, CopyCat Starbucks Passion Tea Lemonade Recipe, CopyCat Starbucks Caramel Frappuccino Recipe, CopyCat Sonic Cherry Limeade Recipe, CopyCat Red Robin Freckled Lemonade Recipe , CopyCat Applebee’s Lemonade with Kiwi and also our CopyCat Chick-fil-A Lemonade Recipe. Stopping by from Fabulously Frugal Thursday. So happy to find this super yummy recipe. Have already Pinned it! This is my absolute favorite non-coffee drink from Starbucks! It is so yummy so the fact that I can make this at home makes me very happy. Can’t wait to try it!! Thanks for sharing. Visiting and following from ABFOL link party! Hope you are having a great weekend and thanks so much for sharing your awesome recipe with Full Plate Thursday. 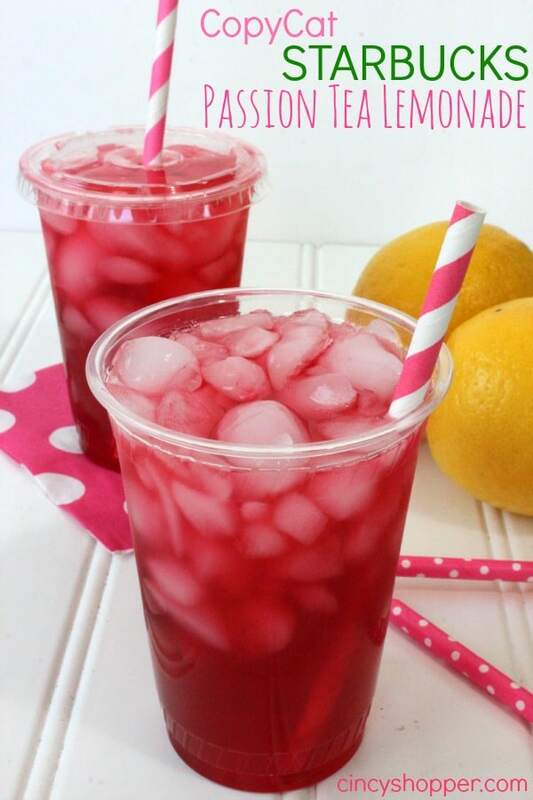 THis looks like such a refreshing treat! Thanks for linking up with What’s Cookin’ Wednesday! Good for you for resisting the Target and Starbucks urge and doing some cleaning. This homemade version looks delicious! What, exactly, is Xanthan Gum and where can I buy it? Hi Annette! I apologize for not including the details of Xanthan Gum. I think I included it in another recipe I have shared. Xantham Gum keeps the ingredients from separating and really is not necessary for the recipe to taste great. I purchased my bag of Xanthan Gum at Kroger (most grocery stores carry it). I located mine in the health foods area. The one package will lost a VERY long time. Oh and the brand I purchased was Bob’s Red Mill which we quite often see coupons become available for. Hi Martha, the original Starbucks version of this recipe is 370 calories. I would expect this to be slightly less. 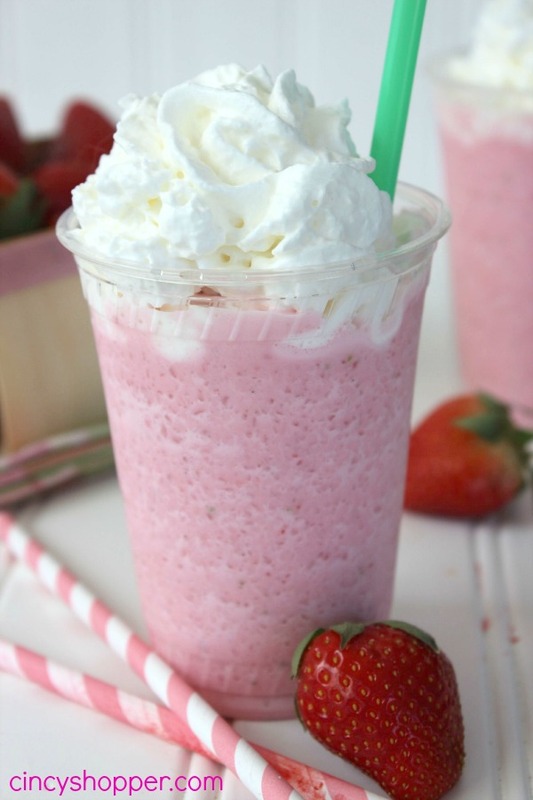 Made this and it taste nothing like a Starbucks strawberry frapp.. Jsut another strawberry shake. But it was refreshing. what is calorie count per serving and size for glass? This looks crazy delicious! I’ll definitely have to make one for my hubby. He loves them. Maybe for a Valentine’s surprise :). This looks so good! It would make the perfect Valentine’s Day treat, and I just love the Starbucks frappucinos! Thanks for sharing! One of my favorite drinks!! :) Cannot wait to try this one! 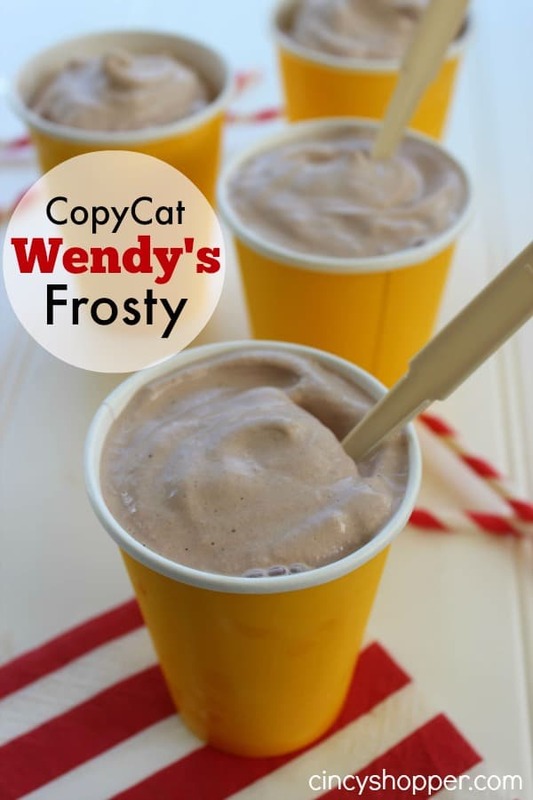 Thanks for sharing at Mandy’s Recipe Box! It’s like a milkshake! How yummy is that! I can’t wait to try it! I LOVE the strawberry frap from Starbucks! Looks so yummy! Stopping by from Wonderful Wednesdays and pinning to Pinterest! Oh yummmy, My kids would LOVE this! 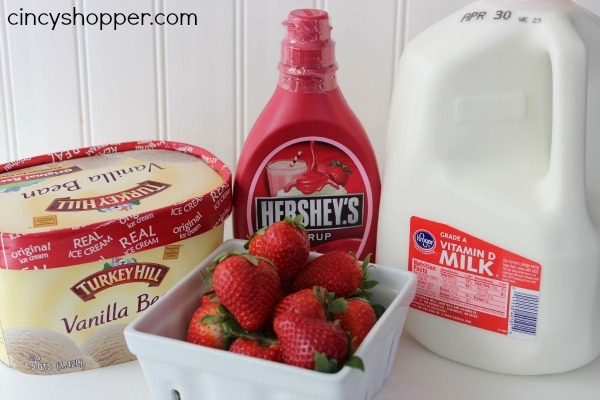 This looks AMAZING… Have you ever tried it without the strawberry syrup? I am allergic to Red dye and really would love to try it.. I tried this….amazing!!! It didn’t taste like the frappachino, but it was still very delicious. Thanks for the recipe! I know a few people who would freak out over this! IT would save them so much money! Thanks for linking up with Delicious Dishes Recipes Party! Looks so delicious! Thanks for sharing it at WIW – featuring you tomorrow! do we use vanilla bean ice cream or do we use regular vanilla ice cream. Love this idea! Not only does it taste just like the original but it gives me the ability to control what actually goes inside. Thanks for sharing! Wow! This looks awesome. My kids love theses from Starbucks. We are going to have to try this recipe. I’d for you to share this at our weekly link party. http://www.thelifeofjenniferdawn.com/2016/07/diy-painted-projects-for-home-and.html Hope to see you there! Neat ideas! Thanks for sharing with Delicious Dishes Recipe party this week! I am craving one of these right now after looking at your picture!! Pinned! Yes! To get a great drink for cheaper! !